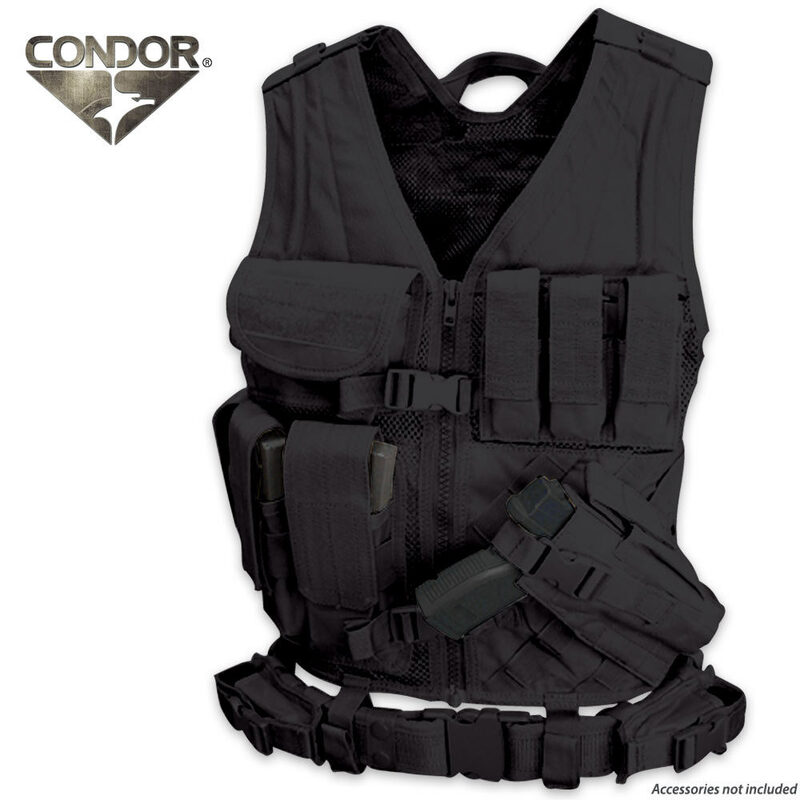 This cross draw vest features multiple ammo pouches, shell carrying pouches, a pistol holster and magazine holsters. Most of the pouches are fully adjustable to the size of most medium-framed pistols and normal sized magazines. The vest is mounted on tough nylon material for improved ventilation and the shoulders on the vest can be adjusted with long Velcro strips. It also has two metal D-rings for attachment of carabiners or other gear and interior pockets for additional storage. The vest zips up the front and can be further secured with the included pistol belt. You won't find a better cross draw vest anywhere else! Great quality Perfect for a bug out bag. I love it !! !